Most businesses nowadays rush to use social media like Facebook and Twitter to interact with their consumers. These platforms also serve as a channel where companies can improve sales through coupons and business deals. Small businesses are increasingly embracing this new venture, as well as chief brands like Virgin and Starbucks. A study by University of Maryland reveals that, the use of social media marketing amongst small businesses has increased to 24 percent, up from 12 percent the previous year. As businesses rush to employ the services of Facebook or Twitter to interact with their customers, many discover that not all strategies work all the time. The following case studies explain how these companies use the above platforms. Notably, Starbucks has employed the use of social media platforms perfectly. They currently offer free WiFi to their customers. The company has more than 10 million fans on their Facebook Page. It uses this opportunity to carry out their promotions. For example, they recently gave their customers free coupons that would avail them free pastry if they purchase a coffee drink. Starbucks has also been active on Twitter, which the company uses to spread their news regarding sales. 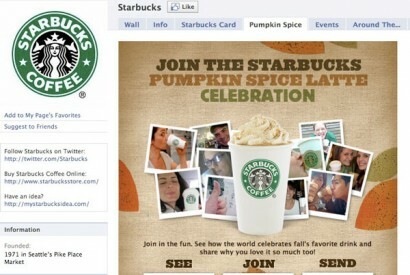 Undoubtedly, this use of social network has helped Starbucks improve their sales and curve out a huge fan base. Retail brands such as Levi’s jeans are increasingly engaging their consumers on social network platforms to advertise their sales. Consumers get the chance to socialize around prices and purchases. Levi’s was amongst the first brands to engage Facebook as a platform to drive sales and marketing plans. They have launched many other campaigns through Facebook ever since. Levi’s allows Facebook fans to like merchandise on the company’s online store. According to Inside Facebook, over 4000 new fans like Levi’s Facebook page. Together with SXSW, the jeans manufacturer has been engaging in several massive campaigns in partnership with The Fader to promote music events. They have also worked with Involver to add music and video on their facebook page. This move targets music fans so that they can purchase Levi’s jeans. On Twitter, Levi’s recruited a Levi’s Guy to engage their consumers on this platform. 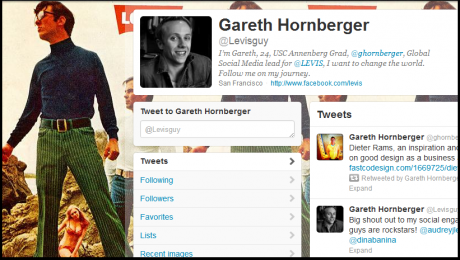 The 23- year-old Gareth Hornberger has more than 6000 followers. He responds to and engages in conversations regarding the Levi’s brand. The company is now searching for a Levi’s Girl. The company engages with Facebook and Twitter to create and inform brand ambassadors, which helps drive sales by word of mouth and their own actions. About the author: This post is written by John Lewis and he works at PriceCollate as a writer. You can visit pricecollate to find and compare various type of shoes at great prices.